[Game Dev] Still alive and coding! More than two months without any website update - I think this is the longest period of silence since the beginning of my website blog in 2006! Nevertheless I was very busy in real life but also with game development on They Come! So much was added or enhanced that it's hard to remember everything - let me try to summarize. Reduced the countdown for the arrangement phase from 15 to 10 seconds - more intense now! All this took a lot of time so I apologize for the lack of information but I hope you'll understand and it's definitely all worth it. The Game Won sequence for They Come! The Game Lost sequence for They Come! I already worked on the two scripted game over screens. 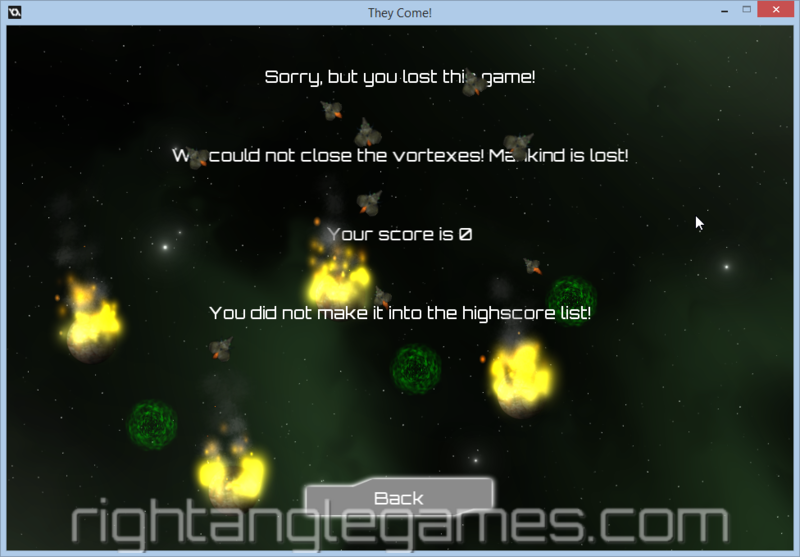 The "Game Lost" screen is finished and I'm happy with it (see the two screenshots below). The "Game Won" screen still needs the distortion laser effect from Mark Alexander (NocturneGames) I've mentioned two posts below. Now that Ouya is sold to Razer my confidence in releasing an Ouya version is pretty low but we'll see. I also decided to release the Android version with ingame advertising for free and some simple IAP to get a advertising free "full" version. Maybe I even "cripple" the ingame shop and keep that for the full version. Of course the ingame shop doesn't cost any real money - you earn credits for rescuing planets and population during the game and use them for ship enhancements. 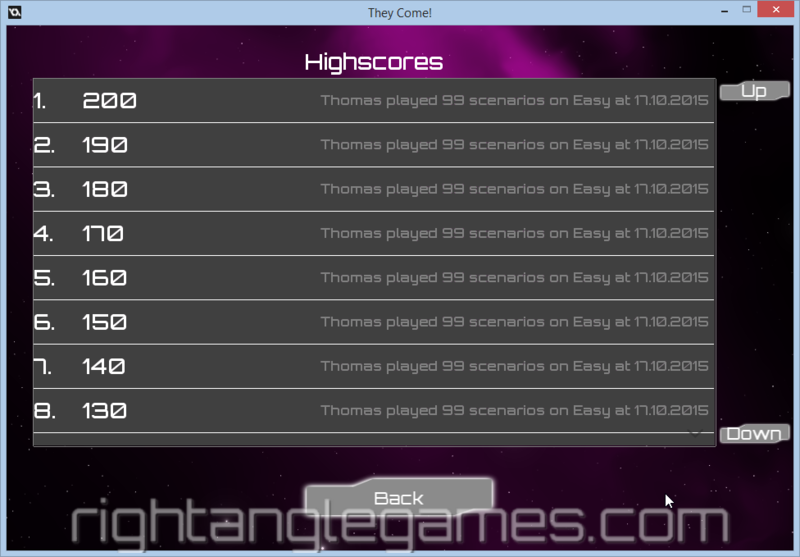 The credits are also your score so you'll always have to decide to go for devices or a better score. But maybe the devices will help you to achieve an even better score? [Website] The new release V6 of TOWeb is out! Lauyan Software did it again! A new release of my favorite website creation tool TOWeb is out and it contains tons of new features! It will pretty surely take a while to use and benefit from most or all of these new features but I'm already very happy with what I've seen and used in the first 30 minutes of using it! Thanks Lauyan, this is a great upgrade and in my opinion well worth the price! To all you readers, I can only recommend TOWeb to create a good looking, feature rich, responsive design website with minimal efforts and absolutely no HTML/CSS knowledge! This long period without any update was well used time for game development! I worked a lot on my WIP They Come! which is progressing nicely. The ingame tutorial is finished. 4 scenarios help you to understand the most important things to play the game. Some stuff like the shop and the features of the devices you can buy there can be found out by yourself. I added lots of support for Android and Ouya - you can use the Back button on your tablet or smartphone or use the 'A' button on your Ouya controller to leave any screen instead of clicking the real "Back" button. The ultimate weapon your ship uses to destroy remaining aliens now comes with gigantic explosions - I love them! They were created with the TMC Particle Lab which you can get very cheap here. Several new achievements were added to the game. 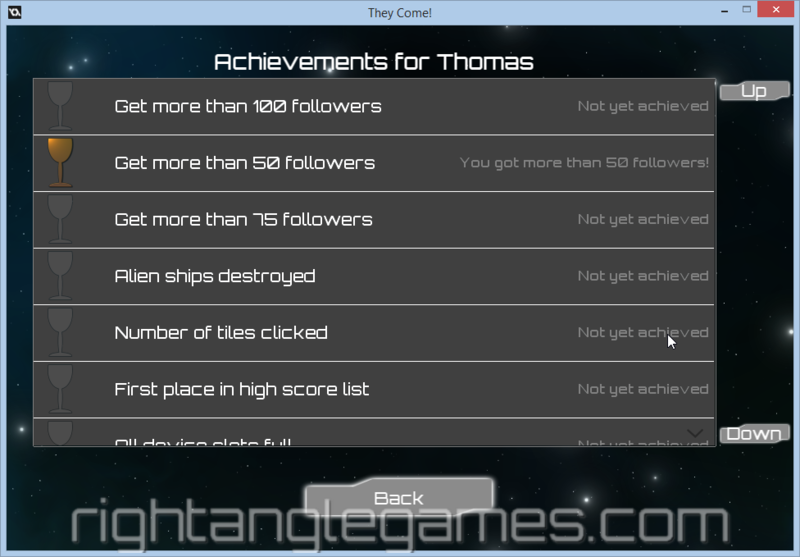 On the Options screen you can now specify your Player name which will be used for highscores and achievements. 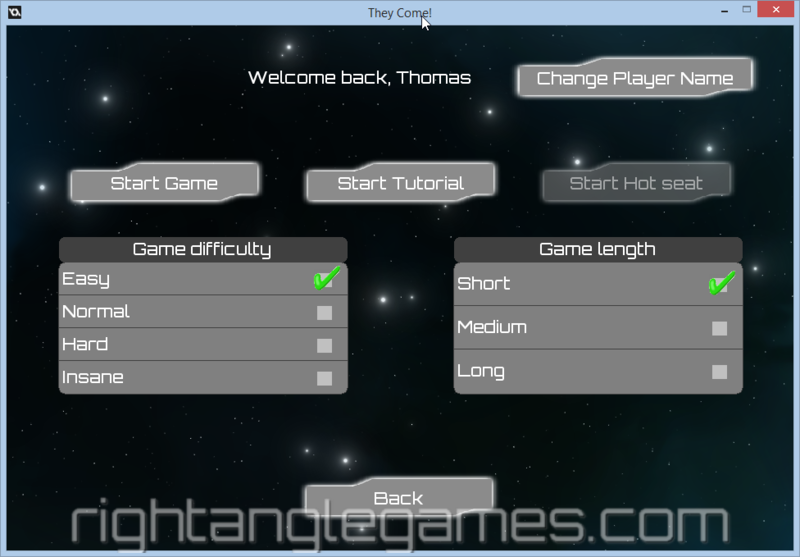 Also on the Options screen I've added toggling fullscreen/windowed mode for the desktop version of They Come! Different layouts for asteroid belts and rebel stations are added. Laser beams of fleet ships are fixed. They now hit moving targets correctly. Several bug fixes as usual. Add laser distortion scripts from Mark Alexander (Nocturne Games). I can highly recommend this and his other Marketplace assets (here the link to Nocturne's Game Maker assets) for Game Maker development! Enhance the game over screens with some nice animations and/or a scripted trailer. Create a gameplay video and upload to YouTube. Should'nt take too long anymore - I hope. [Game Dev] Ludum Dare 32 entries are rated - mine too! So after a 3 week rating phase the results are in! All entrants were asked to rate at least 20 games to receive a rating for their game. I rated 38 other games (some of them were absolutely wonderful and stunning!) and had a lot of fun doing so. Best score was for theme (Rank 187 out of around 1500 games! ), overall was #264. As you can see I improved in every single category! That's quite an achievement and if you look at the rankings I nearly halved most of the values except innovation. But I'm very pleased with the result and considering that I even spent two hours fiddling around with music I was doing pretty good. And the theme definitely wasn't one of my favorites at all! So on to the next Ludum Dare that fits my family calendar! [Game Dev] A lot on my plate! Currently I'm juggling with more projects than usually. The last years I always tried to concentrate on one game project at a time - no distractions, no delays (except the usual real life related ones), just focus. The next thing is Inkscape, a wonderful vector based graphics tool. There are lots of tutorials and I want to learn using it - you'll need to get used to it's way to approach creating game graphics and you'll need to learn its features and shortcuts if you want to achieve good results. I'm on my way! Best exercise is my Ludum Dare 29 entry - Holy Moly. The newest idea is to redo all graphics using cartoony vector graphics and create a mouse/touch controlled mobile version of it! Tons of ideas jump around in my head for this! Then there is another game I want to create which must be played mobile! No hints yet except that I'm using graphics from Kenney! Those are simply amazing and a bargain for every game developer! If you consider using them (they are free, btw) I highly recommend you donate some money to keep this man going creating more and more wonderful game graphics! [Game Dev] Ludum Dare 32 and I finished again! What a weekend! My wife was visiting some further training in Bonn over the weekend so it was just me and the boys! This time the theme was "Unconventional weapons" and after quite some brain twisting I finally came up with an idea I wanted to implement. 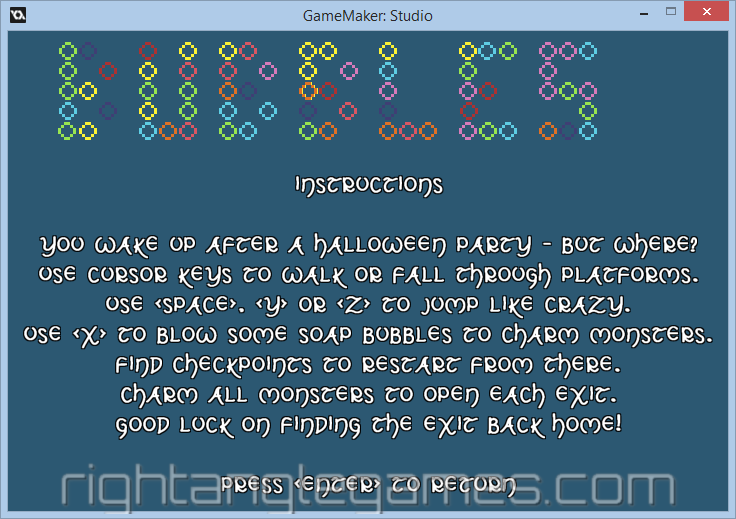 The result is my new game named "Bubbles". It's a platformer where the hero's only weapon are soap bubbles to confuse and charm the monsters of some maze where he woke up. The exit to the next level or to freedom will only open if all monsters on each level are charmed. And in case you also joined Ludum Dare 32 and are allowed to vote: please rate my game over here at Ludum Dare! [Game Dev] Moles will be back and achievements for "They Come"
That was a pretty busy week! Full time job and still a huge amount of time spent for game development! My company prints a little inhouse magazine covering news about the company's direction, current projects and so on. The reporter asked me last week if I would be interested in telling a bit about "Ludum Dare" and my experiences with it and so I did. Of course I also demonstrated him my game Holy Moly and while showing it I discovered how fun it is to play, what I wanted to add and that it would also make a nice mobile game. I remembered that I wanted to redo the graphics to get rid of the pixel style and replace it with some higher res vector graphics. 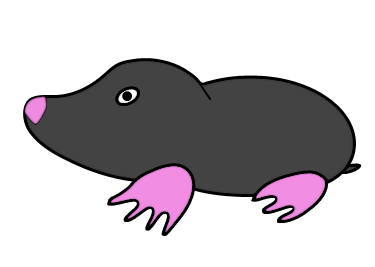 So I spent a while watching Inkscape video tutorials and tried to draw my first vector mole (see top left). That image was done using Real Draw Pro, but I want to redo it with Inkscape too. The rest of my game dev time went into They Come. I enhanced the animation of the rebel station tiles and implemented two more achievements for the game. Finally I'm also lurking around the Atomic Game Engine forums and Github pages to see what they come up with. Progress is slow but promising - we'll see. So please wish me luck to come up with a good game idea for a hopefully great theme! The last week I used all my spare time to improve the ingame shop implementation of They Come. One of my beta testers suggested to make all implemented items available in the shop. Knowing that Nailbuster's UI widget library offers a horizontal scrollable list I decided to give it a try. The gif below shows the result. It's working perfectly and implementing it was pretty straight forward and easy. The more I use Nailbuster's widget stuff the more I love it. It's so well thought and simple to customize - by far the best UI lib I've worked with and pretty sure the best UI lib available for GameMaker:Studio! To support gamepads I also added a "Prev" and "Next" button to scroll the list and even getting those behave correctly was a ten minute task. But I definitely need to fine tune the device prices now - some are too cheap (Short range sensor for example) and some might be too expensive to be really useful. [Game Dev] Atomic Game Engine - another interesting game dev tool! Atomic Game Engine is the name and it's another full fledged game dev environment (or at least it's on it's way!). 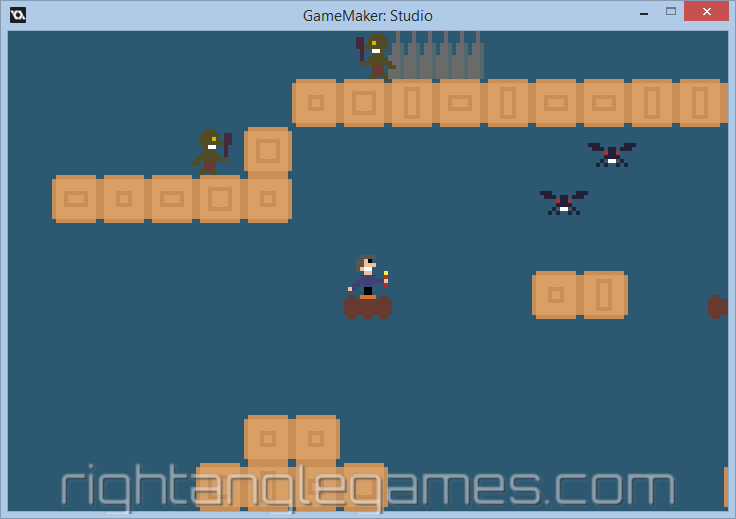 The level editor Tiled is built in, support for TexturePacker and Spriter (2D animation tool) is also included. The tool is just in its infancy but it already looks very promising! Supported dev platforms currently are Windows and Mac, deployment or target platforms are Windows, Mac, iOS, Android and HTML5, Linux is planned. Currently Windows and Mac deployment are for free, a lifetime upgrade for the Pro version (including all deployment platforms) is currently on sale for 50$! [Game Dev] It's GDC and all tool/engine creators go crazy! You might have realized or not - it's GDC (Game Developers Conference) in San Francisco. And obviously the key players regarding game development tools / engines have decided to go crazy, nuts, insane, gaga, you name it. Corona started the fun by releasing their Corona SDK for free. You'll need to buy Enterprise edition when you want to call native libraries and get some other "pro" gizmos but the basic SDK is free now! Epic jumped in with their Unreal Engine 4. Free to download and to use and to create games with it. You'll have to pay a 5% share if a product created with UE4 makes more than 3,000$ in a quarter of a year. But for starters/indies with less income it's completely free to use! Finally Unity joined in and released Unity 5 Personal edition and they offer it for free too. You'll get all engine features and all platforms. Here you have to buy the pro license (1,500$ per common platforms) if you make more than 100,000$ a year. So it's great times for indie developers to choose a new engine for your next game to come! [Game Dev] YoYo Games have been bought! What a surprise - a gambling, lottery and online gaming company named PlayTech bought YoYoGames this week for 10 million pounds (around 16 million $). Of course the community reacted as usual - afraid, emotional, searching for a new development tool and confusing the hell out of everyone else in the official GMC forums. The YoYoGames responsible devs and even Playtech released an official "everything will be fine!" post via email to all customers and in the official forums too which you can read here. The price of 10 mio pounds is not very much for the company and the product so my guess is PlayTech got the company for this "little" amount of money because they plan to invest a lot of money before they expect some positive income later. I wasn't very happy with the graphics for the pylons that shall visualize the routes you've built between planets. They were too big and there was no game feedback if a planet is connected with another one or not. So I came up with smaller pylons and cargo ships. As soon as (at least) two planets are connected cargo ships start to follow the routes and travel between planets. 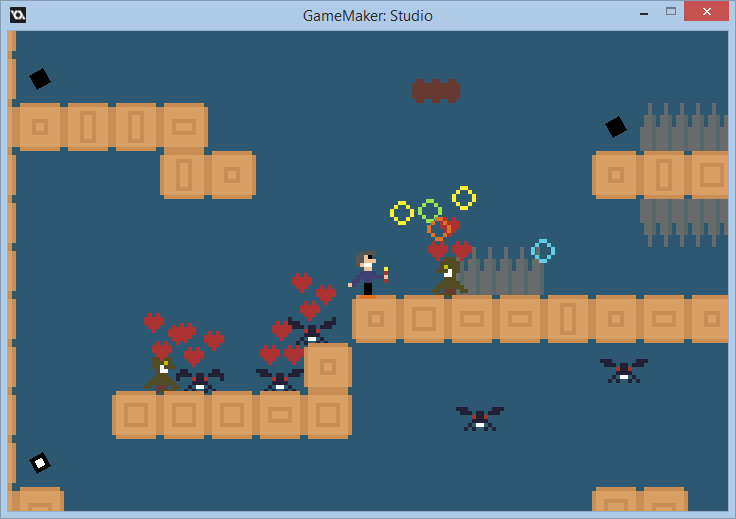 I used the path finding which is implemented in GameMaker:Studio for that. A connected planet triggers an alarm every 3 to 5 seconds. The alarm creates a cargo ship. 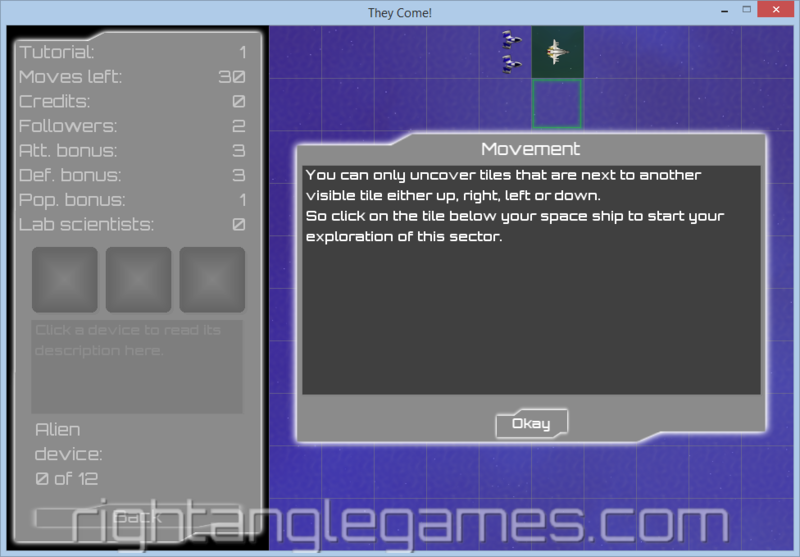 On creation time the cargo ship builds a map with tiles that either have a route or are planets. Additionally the cargo ship randomly chooses a connected planet which is stored in a list of it's creator planet. 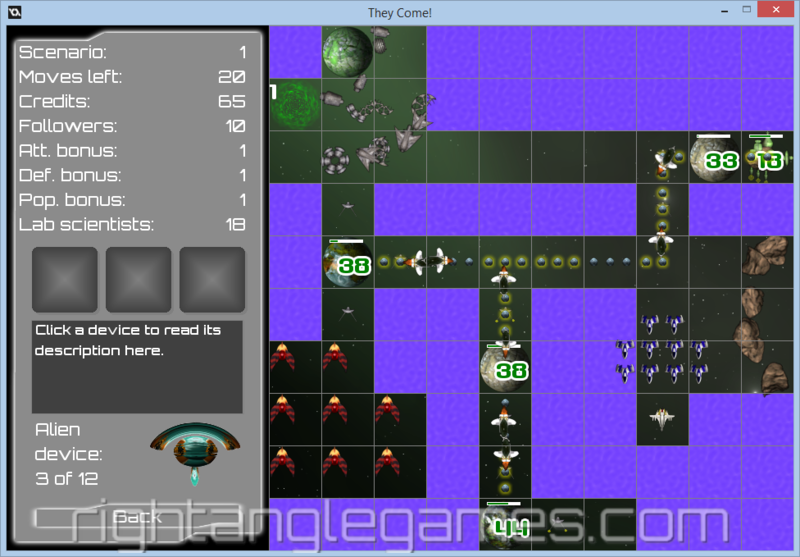 It generates a flight path from start planet to target planet using the constructed map and starts following its path. 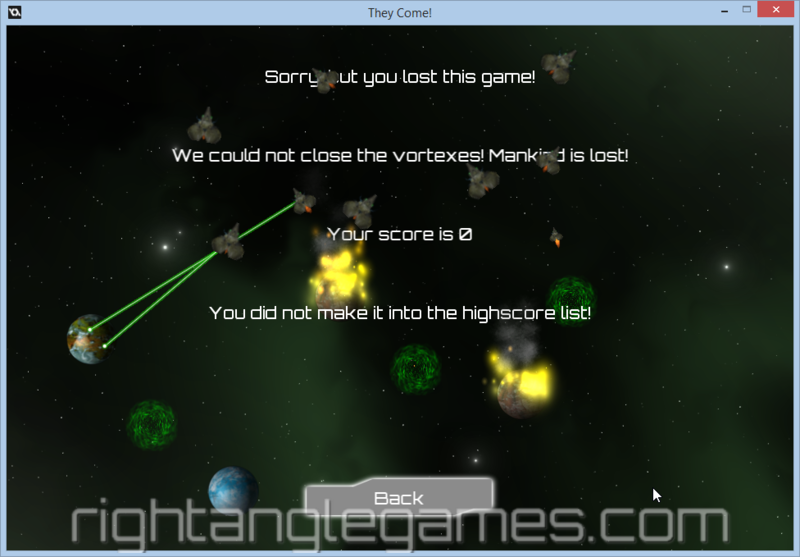 When the target planet is reached the cargo ship shrinks to simulate a landing and then destroys itself. All pretty simple and nicely encapsulated inside the cargo ship code. GameDifficulty has an effect now. You can choose a difficulty setting in the Start screen. Right now it increases the number of generated aliens which will attack you through the vortexes. GameDifficulty also affects the start attack and defense values of the aliens - you've been warned! The player ship covers most of the tile it's on. To see what's below the ship I added some code that shrinks the player ship after 2 seconds and resizes it again as soon as you click any tile again - should increase visibility on mobile devices for example. My todo list is getting shorter. But the remaining items (like adding laser distortion scripts or some more nice explosions or describing all the required tutorial scenarios or implementing the conditions for the achievements) are taking quite an amount of time...but one by one I'll get them done! [Game Dev] Buy my achievements asset - now! 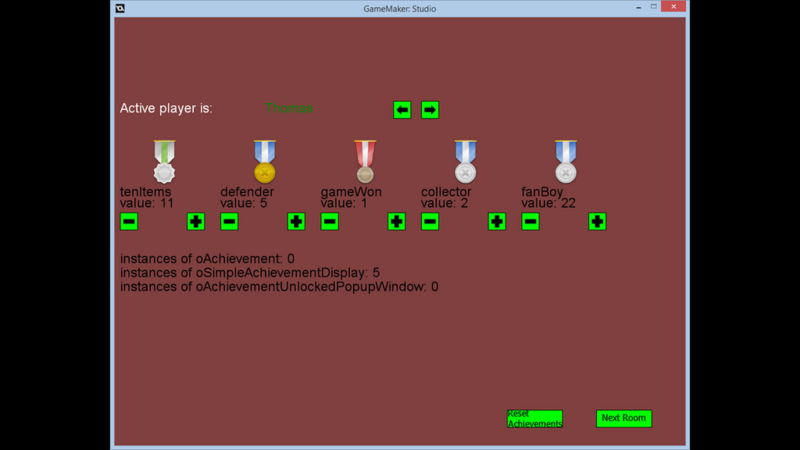 My GameMaker:Studio asset to add achievements to your game is now available at the YoYoGames Marketplace. Go here to buy it or play around with the HTML5 demo on this page. [Game Dev] Local Achievements can be tried! 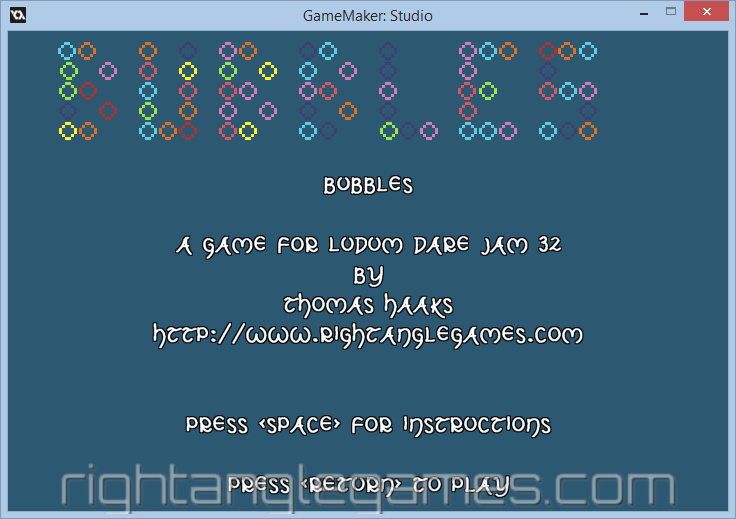 I finished the landing page for my GameMaker:Studio asset! This asset will soon be available on the YoYo Games Marketplace and allows you to deal with in game achievements for all your created games easily! Just click on the image or here to read more about it and try the HTML5 demo! Or click here to buy it right now on the YoYoGames Marketplace! Finally! After some clarification calls with my tax office they managed to get me the necessary VAT id! For german sellers a VAT id is mandatory for all sales happening inside the EU. So I needed one for the YoYoGames Marketplace. Now that I have a valid id I can register a publisher account, finish my asset I talked about the last few months and finally try to sell it! Yes! Over the next few days I will prepare a page on this website for the asset and upload a little HTML5 demo that shows the usage of it. [Game Dev] To veto or not to veto? First things first: a happy new year 2015 to all of you! I decided to enhance the tutorial code a little bit - a veto mechanism was added. Every click node can now forbid clicking on any other tile except the highlighted or target one. This is very helpful if you want the learning player to click exactly the highlighted tile to proceed and no other tile at all. Right now the engine only plays a "Nope" sound if the player clicked a "wrong" or invalid tile. I think I'll also add some floating message to explain what he's doing wrong. The issues I mentioned in the paragraph below are all implemented. The Todo list is getting shorter! The two player hot seat mode might come later as an update. I definitely want to finish a first sellable version of the game in 2015 (I didn't reach my personal goal to finish it 2014).